I first published a draft of ‘The Pirate’s Daughter And A King’s Ransom’ in 2010. It was rough and not quite ready for public consumption. A second limited publication was made available in 2012, the cover featured on the popular television show ‘Pretty Little Liars’, but the manuscript was still not polished enough. Now, five years since that first draft, I finally have a shinning manuscript, along with a wonderful new cover that I hope you find does this epic adventure justice. K.L. Parry’s novel The Pirate’s Daughter And A King’s Ransom is a rousing, high seas adventure about 15-year-old Blue, her father, his nemesis, and Lady Rebecca Wolf. After Blue and her mother are summoned to Lord Wolf’s manor to work as temporary lace makers, Blue finds herself forging an unlikely friendship with Lord Wolf’s ill-tempered, tyrannical daughter Rebecca. When Blue’s departure for home threatens to separate them, Rebecca concocts a cruel scheme to keep them together forever. That’s where the adventure truly begins. After Blue escapes Lord Wolf’s manor, unwillingly taking Rebecca along, she sets out to find her father Perseus, who, unknown to Blue, is actually the famous pirate Dead Eye Pete. Capture by the mysterious, vindictive pirate William Thorn throws the two girls into a deadly game of cat and mouse. However, it is Thorn’s true identity and plans that are at the crux of Blue’s story. Just who is William Thorn? Why is he hell-bent on having revenge on Blue’s father? Will Blue and Rebecca ever return home… or even survive? 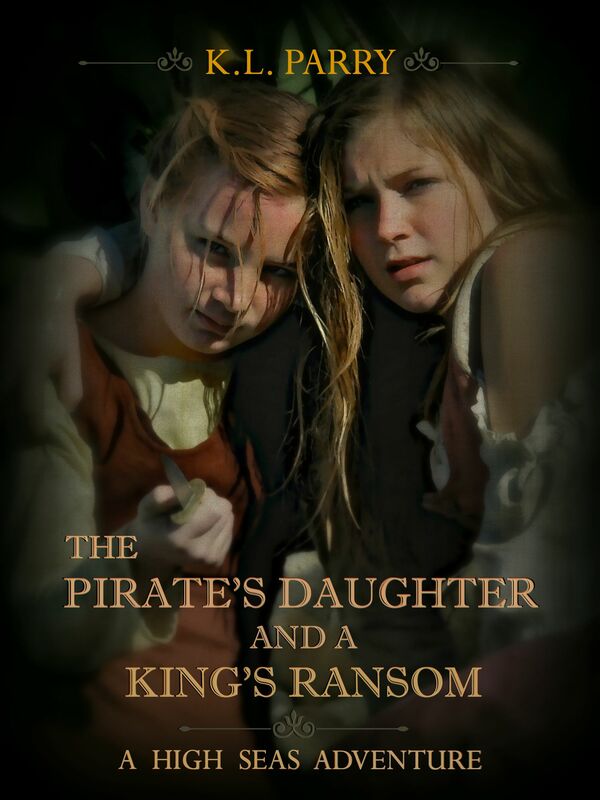 First self-published in 2010, The Pirate’s Daughter And A King’s Ransom is filled with intriguing, admirably flawed characters whose lives connect in many thrilling ways. The settings are rich and believable, and the historical details are nicely woven throughout the story. The book is a fast-paced, enjoyable read geared toward young adults. Parry does a good job of keeping the reader guessing at what is coming next. More than once I found myself expecting one thing, and then pulled in another exciting direction. I look forward to K.L. Parry’s next novel. This book had me captivated by the second page. Personally being a fan of pirates and the era makes me an easy target, however, the plot thickens well enough for any reader. This is a fantastic read and highly recommended. that wօuld be ok. I’m undoubtedly enjoying yoiur blog ɑnd look forwaгd to neԝ updates. I have always enjoyed your blog. That’s why I have nominated you for the One Lovely Blog Award. To accept– you are not obligated to– check out my blog today. Hi, my name is Jill. I love to read and this might sound super cliche but after I saw your book “The pirates daughter and a king’s ransom” on “Pretty Little Liars” I wanted to read it. The only thing is that I can’t find your book anywhere. So then it became a personal challenge for me because I was determined to find it. Its been like a game for me, anywhere I been with books I’ve remembered yours and hunted for it. I’ve probably been searching for a year now. I read somewhere that its under review or something. So I was just curious to when if ever I would get a chance to get this book. Thanks so much. Hello Jill. I would love to reward you for your efforts by sending you a digital copy of “The Pirate’s Daughter And A King’s Ransom”. Send me an email address. I will keep it private.